I have been overwhelmed by Mysterons. 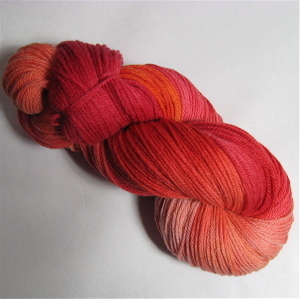 I had dyed up a dozen skeins, and whoosh, they were gone. I have dyed more this morning and they are drying as fast as I can make them dry. Since they have all been bought as partners for more exotic edging type yarns, there is no point in sending out part-orders. I will get the Mysteron-plus parcels to you as soon as I possibly can. Most of the orders are now in the post, so just bear with me ... and in the meantime look out for those spooky circle things which slide along the floor towards you. I have decided that although I can actually do the Knit-two-socks-at-the-same-time thing, technically, I mean - I'm not sure that I actually enjoy it. I think it's because I find it less portable. My knitting is mostly done in front of the TV, while "watching" Captain Scarlet and the like, or when I'm on the Jazz Orchestra run on Tuesday evenings which gives me an hour of Hot Chocolate drinking in the nearby pub/restaurant. I found that although I understand the principle, and I didn't commit the usual faux pas of knitting right across the stitches of both socks with a single length of yarn, it just feels cumbersome. So much so that I found myself not knitting in preference to getting it out and doing a few rows, so it was actually slower rather than faster. 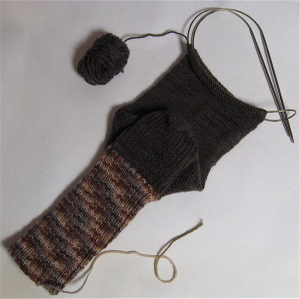 ... in order to knit the foot of Sock-the-second. Although the Two on Two Circs thing hasn't really done it for me, I am definitely a convert to dividing the yarn into two balls and knitting two socks at once, just not on circs. Two ribs, two heels, two gussets, two feet. I'm going to take these sock-feet down to the ends of the Bitter Chocolate yarn, or at least until the row count matches, and then if I am short of yarn I'll do the toes in Fegrig. As an experiment it is interesting. Fegrig has size ten, 72 stitch feet so I don't expect to get all the way to the toes without needing to be creative with the yarn, but if these had been socks for me, the 50g of solid for the feet would have been plenty for my size 6, 64 stitchers. Now that there are 50g skeins in the shop, this has the potential to more or less wipe out any leftovers. And at a stroke the "problem" of the pattern being disrupted over the gusset area (stop smirking) has been dealt with. I will let you know what the actual stats are at the end. Occasionally, in the blogosphere, you stumble upon a new blog which is just stunning and you have to tell the world about it. Last week I found a new one. Nominally it's a crochet blog, but there are few photos (and no knitting at all). The writer lives in New York. So what do we have in common? Well there are Bento boxes. We have several here in the kitchen cupboard from which to choose. This one belongs to my younger son who is 16 and who looks rather sheep like when his hair grows longer than an inch or two. He chose it. Nothing like self depreciation, is there? 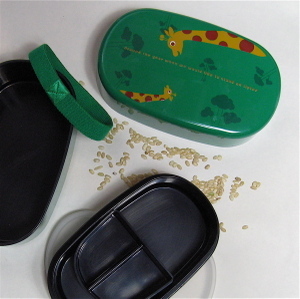 It just has two compartments, the main one for the rice and the lidded one for everything else. This is mine. Again, the base for the rice, but this one has a divided compartment for the upper layer. It also sports the words "Around the year when we would like to stand on tiptoe". 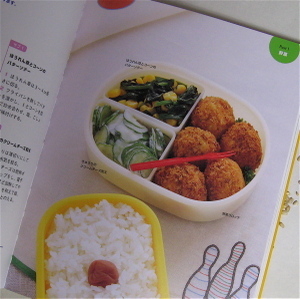 It was bought in Japan and many of the bento boxes had similarly unusual wording. I love it. 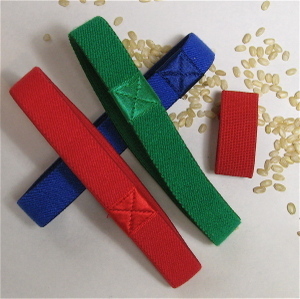 As well as a collection of bento boxes, we also have the essential closure devices. The small one is for a chopstick box. I did have a splendid photo of the family chopstick collection too but it seems to have not registered on the camera so I'll take a fresh one another day. 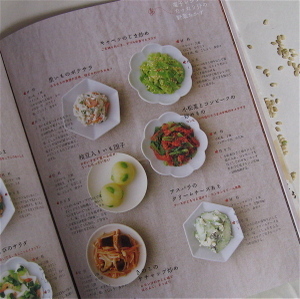 No I don't speak Japanese, far less read it or write it, so this really is cooking by pictures. These bowls will probably all be about seven or eight cm wide. Exquisite. And what does all this have to do with the blog of a New York crocheter called Widdershins? Well, she too is a bento user. She is also clever, humble, erudite and thought provoking. She writes of the pain and sadness of loss, and of the unexpected joy of finding. And tucked away in her side-bar she has the FreeRice link. 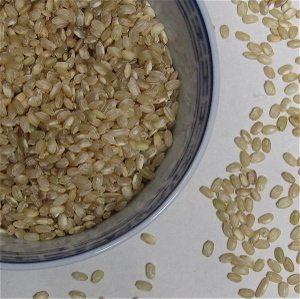 My score is stuck in the forties, but I donated 1320 grains of rice this morning. At the moment it seems I barely have time to stop for lunch, but today I decided I really should make something hot to eat and then sit down and actually pause for half an hour. A quarter of a small cauliflower, boiled just long enough to cook it but not generate the mush which cauliflower can so easily become. Half a mug-full of cooked wholemeal pasta spirals from last night. Half a mug of spicy pasta sauce, ditto. A slurp of leftover spicy parsnip soup. All heated up together and then the last of the Parmesan - a stub of it, no more - "peeled" off the rind with a potato peeler. I feel better now, and ready to deal with the rest of the parcels. The Merino for Mitts went well. If you ordered this week you should have received your pattern download by now, and I am doing my best to get most of the orders out today. The first batch of parcels went in the post this morning and I'm aiming for a second run to the PO this afternoon. 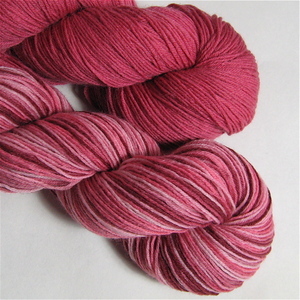 There is some yarn left in the shop and "More Merino" is written on my dye-list for later this afternoon - and I will also try to squeeze in even more between the Sock Club yarns tomorrow. Mysteron was especially popular so that's top of the list. My new dye order has just arrived which means lots of new colourways soon too. It's parcels first and knitting pics second today so I will show you the Fegrig and Bitter Chocolate socks later. There is a lot of progress to report. Just time for a weak milky cup of tea and then back to those blue bags, I think. I know that once the yarns are bought they vanish from the shelves, just as they would in a real shop. Here are a few of them, so you can see what there is/was, and so you can let me know what you'd like more of (more or less). Seriously, Mysteron is actually a very useful colourway, as it will go perfectly with Captain Scarlet, and also with many of the greens and the softer pinks. 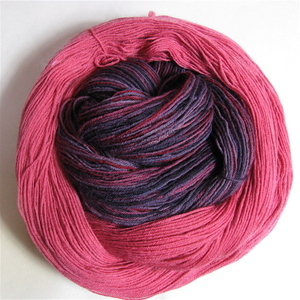 Skeins are described as semi solid if there is variation within a single dye colour, lighter or darker. These yarns are £5.00 for 50g. Yarns which are more complex to create are £5.50 for 50g. If you would like 100g, order two. I'm off to put the pattern in the shop too under Patterns (new section) so be sure and order that as well. 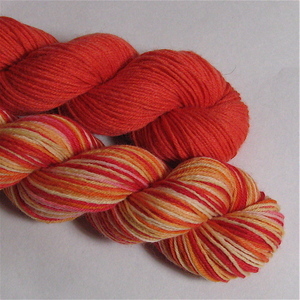 Remember Flat Rate Postage, so you can sneak in a sock yarn as well for no additional postage cost. I will make the shop live at 14.30. There is a new section called Merino for Mitts and everything is in there. Just to give you something to look at while you are waiting. Roll the mouse over the photo to see what it says, and click for big-ness. This is due to a combination of factors. Horrible weather (again), merino which takes twice as long to dye and three times as long to cook as "normal yarn" and the fact that Jane does have a busy life too and wants to re-proof-read to make sure all the K8tblSlip3upsidedowns are in the right place. 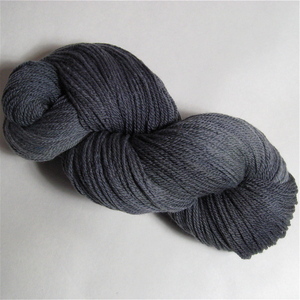 There are 40 x 100g skeins of merino here in everything from Soot Grey to Scarlet and from Spring Cabbage to Sky Blue.... and most things in between. Plenty of them are in the muted Cranford-ish colours so evocative of the book and portrayed in the TV series, but there are some brights as well. 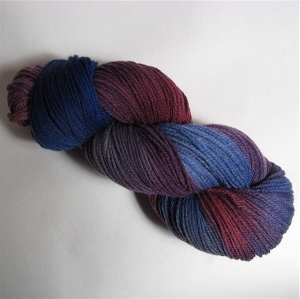 They will be sold like the sock yarns, as 50g skeins, but I won't divide the skeins until they are purchased so if you prefer 100g you can have a whole undivided skein, simply by ordering 2 x 50g - and if you would like to mix and match, just order 50g of a semi solid for the lacy body of the mitts and 50g of contrast for the edge. 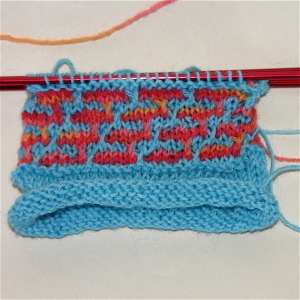 I have tried to create colour families in which the variegated yarns feature the colours of more than one of the solids. 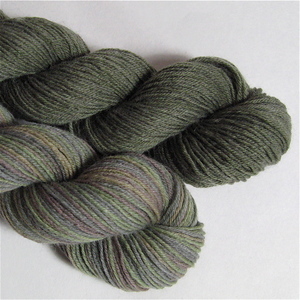 For example a purple solid, a green solid and a purpley green variegated - so 2 x 50g solids and 1 x 50g variegated will give plenty of yarn for two completely different pairs of mitts. Believe me, this is a pattern you'll want to knit more than once. 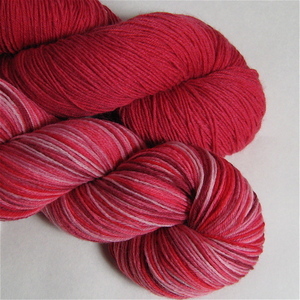 Photos and yarns in the shop tomorrow. Promise. Jane has been designing a new pattern for us. 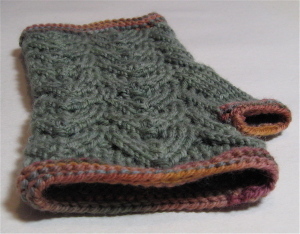 It's for the fingerless mittens which are photographed on the blog (Thursday's post), and are knitted in the scrummy Yarn Yard merino, not in regular sock yarn. 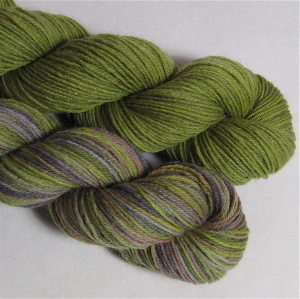 I have been busy dyeing merino in semi solids and in slight variegateds to mix and match. We have decided to offer the pattern in a different way this time. As you know the website is now set up to charge flat rate shipping. The pattern will appear in the shop as a £0.00 purchase. I will manually send a pdf if you click to order it. This means that if you buy a skein of yarn, (remember the pattern is written for merino) you can add the pattern to your order and I will send it to you for free because you have bought something else. If someone wants just the pattern, then it will cost the price of the shipping charge, £2.00. Overseas requests will be charged £3.00 and I will refund them £1.00. This is astonishingly bargainous for a designer pattern. Jane is now an established designer, and I feel strongly that her work and her skill should be valued. This is a way of ensuring that customers continue to benefit from her enthusiasm and generosity. Most people will be able to have the pattern for free, but it means that non-customers need to pay for it. Jane and I feel that this is entirely reasonable. Jane puts considerable time and effort into the design process, she takes a typical Yarn Yard yarn, does the design and then we discuss how to best fit the colour spacing etc to the design. 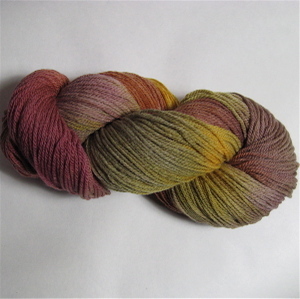 I rework the colour combinations and then dye the yarn. I would just like to say a HUGE Thank You (I have to shout, she's 450 miles away) to her for her ongoing support. 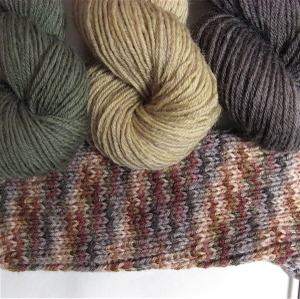 The yarn and pattern will go on the site early next week. PS Fegrig thinks he would like Bitter Chocolate feet. Thank you for all the comments. I'm off to knit them now, and to watch the Rugby. PPS Happy Birthday to Hannah, who is spindling and loving every minute of it. Tell me, how are your daffodils this year? I think mine are actually bucking a trend and they are a little later in making an appearance. Oh sure they are up, standing to attention, buds ready, but I think they were already flowering this time last year. I could be wrong, I have no actual data to back this up, but it just seems to feel like that. c) I want to offer the pattern and the yarn at the same time. Look out for it on Monday, as soon as the final photographs have been taken. In the meantime, here's something to warm you on a cold February night. I love this yarn so much I want it for myself. As a wine-ologist might say, I think this has legs. Rather shapely ones at that. And just to tempt you further. Blooming is a versatile little number. Moment again, but this time with Oatcake. It looks completely different, doesn't it? Colourwork is BIG. 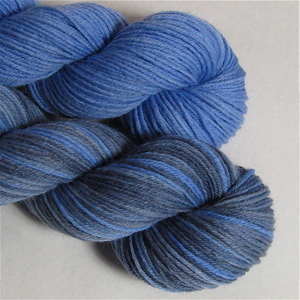 Earlier this week I added a few dozen little skeins of yarn to the shop, 22g of this, 26g of that. They were gone within minutes. I can't do that all the time, but it convinced me that it was time to offer the Sock yarn in 50g skeins. It will work like this. 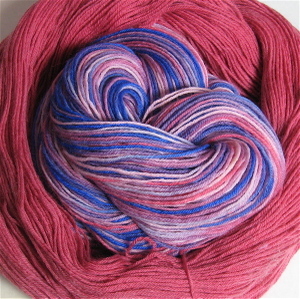 Most of the yarn will have it's picture taken in 100g skeins, but it will be sold in 50g lots. 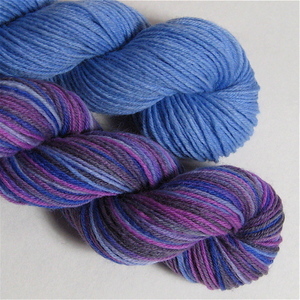 If you order 2 x 50g you can choose whether to have your yarn as 1 x 100g or 2 x 50g. Either type it on the order, or if you want to click quickly, just send me an email afterwards. If you need 50g of Bitter Chocolate (who doesn't?) to make great use of something in your leftovers box, you can order just 50g. 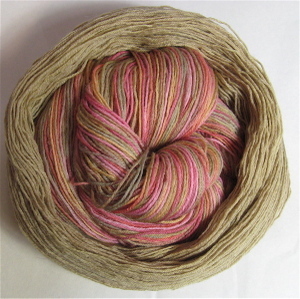 50g variegated yarns are £5.00. 50g solids are £4.00. Flat rate postage for the UK is £2.00, no matter how much you order. Now before I click the "go" button for the new yarn, take a moment to help me with a tricky decision. Fegrig sock leg. Which one do I use for the feet? Huntsman, Oatcake, or Bitter Chocolate. PS. If you would like to be included for this months Sock Club I need to know right away! Have a great weekend. Anything special planned? I can't believe it's Thursday evening already. This week has flown past. I've been dyeing up special orders yesterday and today. I had BUCKETS of dye I tell you. BUCKETS. I come from an era when capitals were used for emphasis and didn't signify shouting (which is a daft idea). I mean if I was going to shout I would do this. And then I would underline it in green, with a squiggley line. Or two squiggley lines. Or three. Anyway, I had to wait until I had a clear house with just me in it before I dyed the yarn, but it's done now. So there is a little more yarn for the shop tomorrow, and more drying, and more waiting to be dyed in the morning. Knitting is a just a squiggley line really. A long one, I grant you, but it is squiggley, and it is a line. Crochet is a squiggle too. Do you remember that I showed you this a few days ago? I can reveal a little more now. Designed by You Know Who. The pattern will be available next week. Exclusive to The Yarn Yard. Did I mention that they are knitted in semi-solid merino? Guess what I'll be dyeing in the morning. What colour would you like your mitts to be? First of all, thank you for all the responses,which have come in mainly by email. 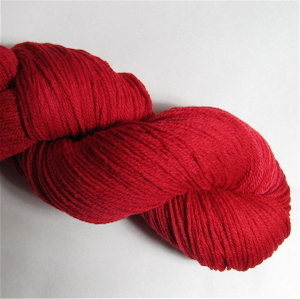 It seems that you are fairly evenly divided between 50g and 100g knitters. 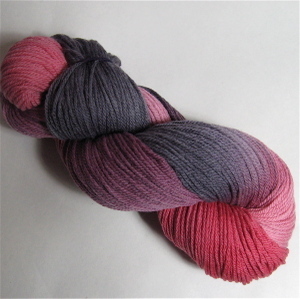 If a skein is 50g, is this an excuse to put the price up? - Nope, I am offering you a choice of skein size. the price will stay the same. £5.00 for 50g and £10.00 for 100g. Now that postage is Flat Rate as long as it's going to a single address, this means you can mix and match more easily. Can I have 100g if I want it? 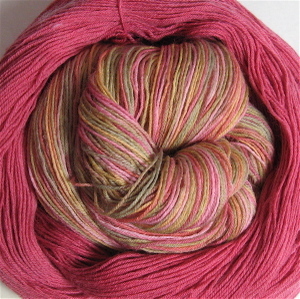 - The photos (for the most part) will show a 100g skein. I won't wind the skein off until the orders come in. 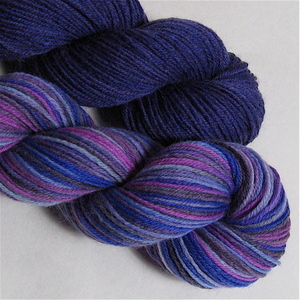 If you order 2 x 50g and don't tell me you want it split into two, then I'll send a whole 100g skein, not 2 x 50g. - See above. 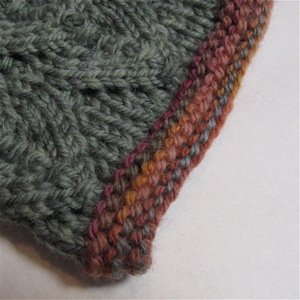 I don't divide the skein until it's ordered so two ordered at once will be a single skein. I can divide a skein if you like, for the Two-at-at-time knitters. If you need 150g for a project, order 3 x 50g. Above all make sure you order enough for a project as I can't match later. This is just the same as it is at the moment. Is this for all yarns? - It's just sock yarn to start with and then we'll see. Isn't 50g a waste of time? These are my two-at-a-time socks. 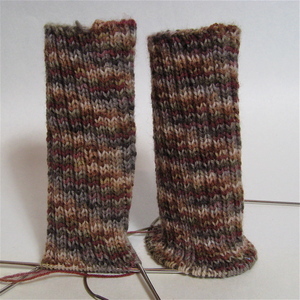 I've already taken one of them off the circs and transferred to dpns ready for the heel. They are the same length, it's just that the one on the circ is flared at a the base where it's standing to attention for the photo. I plan to swap to a solid yarn now to do the feet. No-one will look at his feet because they'll be inside his shoes anyway, and when people do notice they tend to say "Wow! Are those hand knitted?" because they've twigged that the feet look slightly different from the leg. Of course if I knitted the 2 x 2 rib in this yarn and the feet in Flame Orange then things might be different, but I'm not that brave. The other advantage of knitting them like this is that I won't get all the odd swirling around the ankle decreases. I have never yet mastered a short row toe, and anyway I prefer a heel flap, it's more comfortable for me. 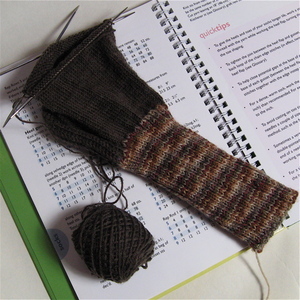 Knitting the foot with a solid or semi solid yarn solves all these issues. And most importantly, if I decide I never want to knit with this colourway again - unlikely, because I rather like it, but you know what I mean - then I haven't got 80g of it sitting in my stash looking at me balefully every time I open a cupboard. Here are a few to show you what I mean. 50g each of Roll on Summer and Flame. 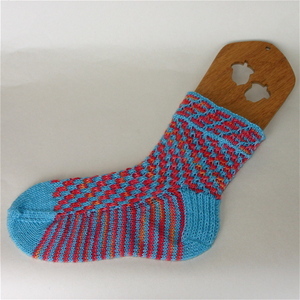 A pair of fun, jazzy socks for £9, instead of £18 for 200g and lots of leftovers. Gaze and Sky - That's the same skein of variegated yarn BTW! Buxom and Lipstick - irresisible names! Phew! Enough photos to sink a server today. 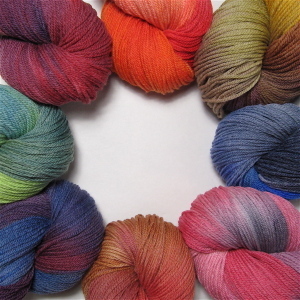 With only a few exceptions, most of these are undivided 100g skeins, so if you need 100g, just order two! Okay, a few yarns in the shop. 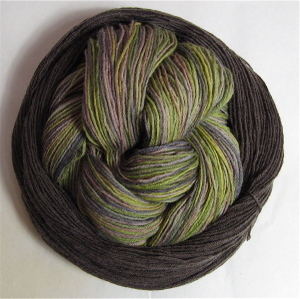 Lots of little toes and heels mini-skeins varying from 22g to 34g and from £1.50 to £2.00 each. I say lots but there are a maximum of two of each colour so click quickly. Remember you can order as much as you like for the same flat-rate Postage charge. A couple of seconds. Scrapheap for a start! Okay for mansocks which are mostly hidden. And a knotty one with an almost unheard of three knots in the skein. But there are some gems too. 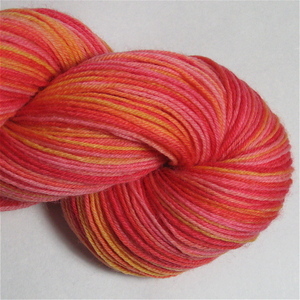 This is the only remaining skein of a Club yarn from a year ago. 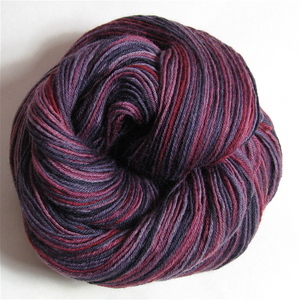 I promise never to sell a Club yarn within a year, so I have been hoarding this beauty. And Very Important --- there is more than one page, so scroll to the bottom and either change the default from 30 to 50, or click onto page two!